Across A Deadly Field: A Legacy to John Hill > Blog > ADF Books (hard cover and kindle) > ADF Book 3: Reserve Your Copy Today! Thank you to all who have visited here before and welcome new visitors to John Hill’s tribute site promoting his latest release Across A Deadly Field: The War in the West published by Osprey Games & Publishing. If this is your first time visiting us, please take a moment to explore the content and pages. On May 19, 2015 the most recent ADF rule book was made available through a couple online book stores to include Amazon and Barnes & Noble as well as directly through Osprey. Many wargamers have ordered their copy and received them already. The kindle version was made available on the day of the book’s release. If you have not ordered your copy yet and are still plan on doing so, you can head over to Amazon where only 8 copies are left in stock. While there you can also order John Hill’s two earlier books, Across a Deadly Field: The War in the East and Regimental Rules for Civil War Battles if you do not already have your copy. Amazon describes John Hill’s latest book as…. It is a 148 page supplemental rule book to the ADF series focusing on the challenges faced in the Western Theatre of the American Civil War. You can preview the first 20 pages of the newest release of the ADF Game Rules and get a taste of what you can expect when you receive your own hard copy. You can also check out many of the ADF Quick Reference Charts to see what all the new scenarios will be. The review submitted thus far indicates….. Grab your copy before they are all gone — only 8 left in stock! 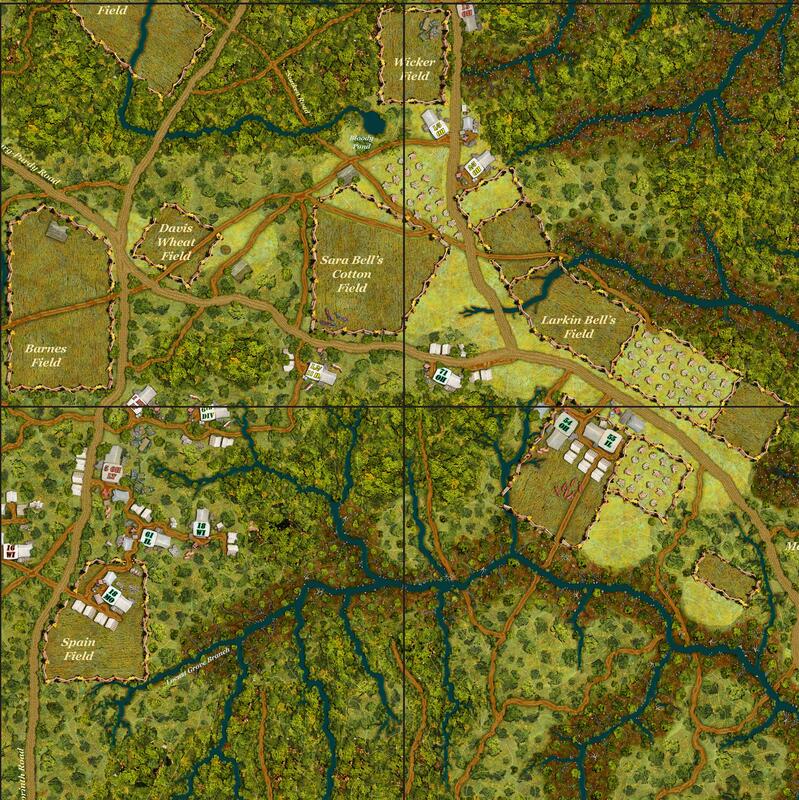 In the field of tactical wargame designs, few designers have had as much impact as John Hill. In the 1970s, John started his own company to design and publish tactical and operational games that broke from traditional wargame mechanics. Realizing that he preferred designing wargames over running a business, John sold the company and became a freelance wargame designer. From then on, John’s designs for Avalon Hill, SPI, SDC and others became noted for their innovative approaches to simulating unique tactical situations. In 1977, John designed Squad Leader for Avalon Hill. Squad Leader broke the mold for how tactical combat was portrayed on the gaming board, and its impact is still felt today. The first freelance wargame designer inducted into the Origins Hall of Fame, John is perhaps best known for his Johnny Reb rules for the American Civil War. The author lived in Santa Fe, NM. Hi Steph thanks for the great article. I enjoyed reading about your father, the designer of Across A Deadly Field games. I read over the ADF Game Rules and they sound like it would be something many gamers would enjoy. It sounds really interesting! When I was young I played a lot of warhammer and things like that, how do the two compare? Do you have a market in the UK? In answer to your question in regards to comparing warhammer to wargames, the concept is pretty much the same in that they are both tabletop wargames, the only real difference is my father specialized in ACW (American Civil War) games and Warhammer is mostly fantasy wargaming. The wargames my father designed were based on factual historical events and not on make believe. Men like Robert E. Lee and Ulysess S. Grant really did exist and commanded those battles fought in the Civil War. For more information check out the Epilogue of Johnny Reb. Hi Steph I think your website is an awesome tribute to your dad. He would be proud of you. I think creating war games such as Across A Deadly Field and Squad Leader is a very unique field too. I like the layout and the images are relevant to your website making it more visually stimulating. I will have to check out his latest ADF Rulebook. Keep it up. Thank you for leaving a comment on my website. I agree wargame design is a unique field. 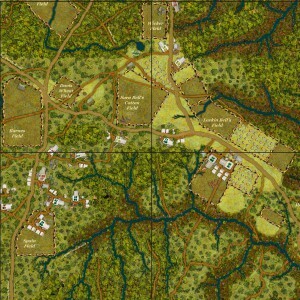 My father had many talents and designing wargames such as Squad Leader and ADF were only a few of his talents. Thank you for visiting today. I am fascinated by the subject of this book. This appears to be a game rule book or a rule book perhaps of an actual war? I would love to get more clarified information. Truly fascinating! I wish you much luck with the newest book and your pursuits in carrying on your father’s legacy. It is really touching for me to see. Yes, it is a game rule book. Across a Deadly Field: War in the West is my father’s last book which came out on May 19, 2015. You may read my review on ADF: War in the West. Thank you for your well wishes in carrying on my father’s legacy. Come back soon.